During the Adobe Summit, Alan had the opportunity to sit down with Donna Tuths, SVP and Global Head of Cognizant Interactive. Equal parts disruptor, pioneer and, innovator, Tuths also spent time at Accenture, Ogilvy & Mather, Organic, and Y&R Wunderman prior to her arrival at Cognizant. 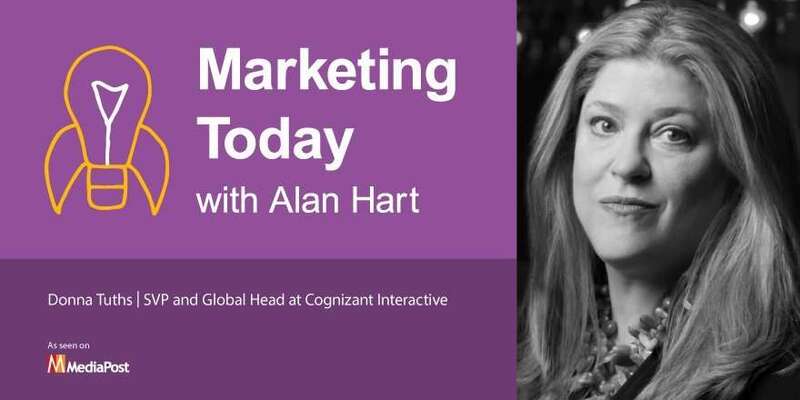 During her conversation with Alan, Tuths talks about her focus on helping clients make the shift from marketing to experience as part of her role in driving solutions at Cognizant Interactive. They also discuss the changing face of creativity, her company’s focus on strategy and design, and why Cognizant Interactive found itself making movies on location at the Summit along with their content experts, Mustache.